Apple sent out an email to some customers today to inform them of a bug related to iOS 10.3. 1. Go to Settings > [your name]. 3. Tap to turn iCloud features on or off. Just yesterday, Apple released iOS 10.3.1 to address more bug and security fixes. 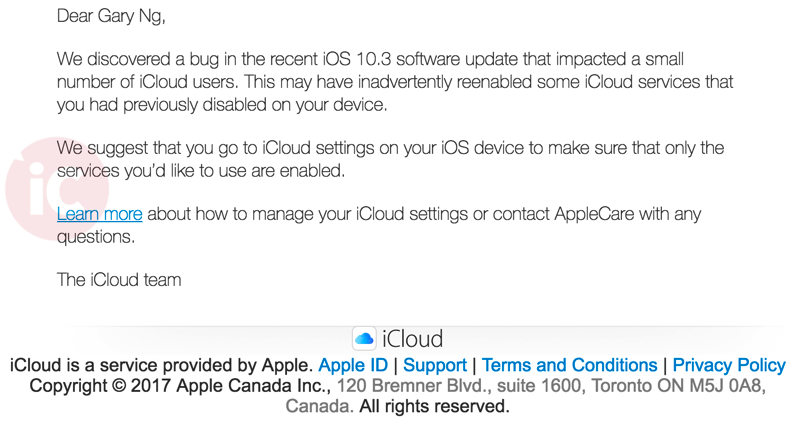 Did you receive an email from Apple regarding iOS 10.3 and iCloud? Did you notice any settings changed?